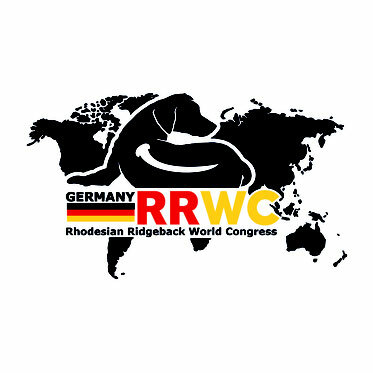 Presentations can now be submitted for the Rhodesian Ridgeback World Congress 2020 ... - 1525699244s Webseite! when we held our first "International Symposium on Rhodesian Ridgback" (now known as the Rhodesian Ridgeback World Congress RRWC) in Halfway House, South Africaback in 1984, notices and invitations were still sent by post. The meeting place was a communal building and there was meat from the Grill and homemade salads to eat. For each of us, about 40 participants, that was all quite normal, because it was important for us to talk and discuss the contents of the presentations. World-wide round-up; history and development of the breed. Veterinary problems and heritable characteristics of the RR; Hip Dysplasia; Dermoid Sinus; temperament. Breed clinic; breeder’s workshop; discussion of the breed standard with slides. to Section 1: To what has our breed evolved? to section 2: What have we achieved in respect to hereditary diseases and their control? to section 3: What is our breeding goal nowadays and how do international special breed judges interpret the standard of our breed? The study of motion by Prof. dr. Martin Fischer, Univ. Jena, with the perspective: How does the size of the RR affect its health and functionality? Which dog structure leads to the ideal sequence of movement? Prof. Dr. Ottmar Distl, from the University of Veterinary Medicine, Hannover, will report on the state of genetic testing for the control of dermoid sinus. A study that has been running since 2014 and may come to a close in 2020. Miss Dr. Cornelia Renczes will report on experiences and statistics on the mating of ridgeback / ridgeless ridgebacks. Is it an option to combat the DS? Prof. Dr. Peter Friedrich, President of the VDH will report on the topic of the FCI discussion: "Acceptance of ridgeless Ridgebacks". and additionally, we will hear further presentations on current topics. What comes cloeses to the standard? What should the Ridgeback look like? What is acceptable and what do we see critical in the evaluation on dogs? In this section, all our participating breeders will receive valuable information for the desired breeding goal. We kindly ask for your understanding that while we are still waiting for just a few confirmations of the above mentioned speakers, the program may still be subject to change. And we are glad to take on other topics of interest -- the 'call for papers' hasn't closed yet (see below). 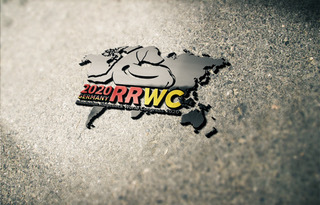 Here you find the currently planned program for the RRWC 2020.
the RRWC serves to communicate and to maintain contact with like-minded Ridgeback enthusiasts, as well as to exchange their experiences. That's why we're launching “the call for papers”, which is a call to contribute presentations, lectures and reports for the World Congress 2020. In order to share your experiences as breeders, breed judges, veterinarians or scientists we would like to invite you as a lecturer or participant in a panel discussion. But also exhibitors, dog trainers or just plain lovers of this breed are welcome to actively participate in our discussions. We are interested in your experiences and observations of the development of our Ridgebacks over the past four decades. What did the breed develop into? - Did this development have an impact on health and functionality? - Did the methods of molecular genetic testing do us any good? - ... or did we leave everything as it is and were just lucky? - Did our discussions at the previous World Congresses lead to unify the Interpretation of the standard? - What should be our considerations for the future in our breeding? We are looking for a summary of all these aspects since the beginning of our discussions in 1984 at the 1st RR World Symposium in South Africa, and would be very pleased for your active participation. All feedback is to be sent to martin@rrwc2020.de.